It has been two years since I started the project space-vim. 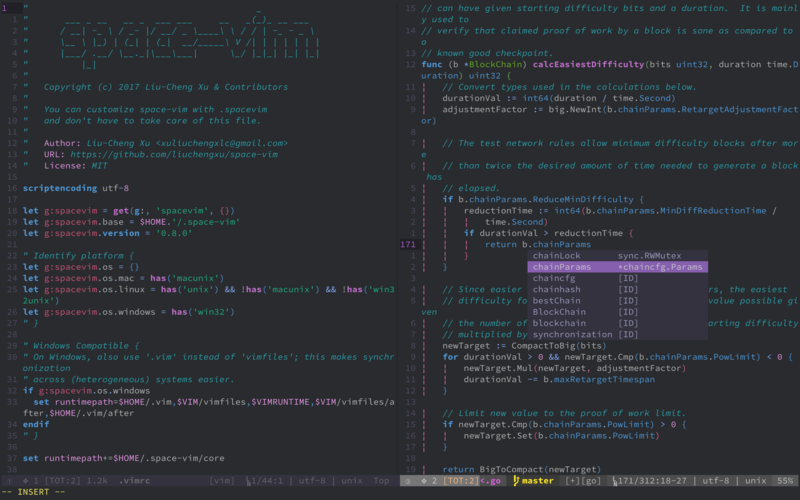 Ever since I tried spacemacs, I had became a big fan of its default theme: spacemacs-theme, so I ported the dark version of it shortly, that is space-vim-dark, which is a dark only Vim colorscheme and has won some solid users in the past two years from my point of view. But I still prefer the light background when using vim in daylight, for in which case I can’t see it very well on the dark background due the light reflection at times. 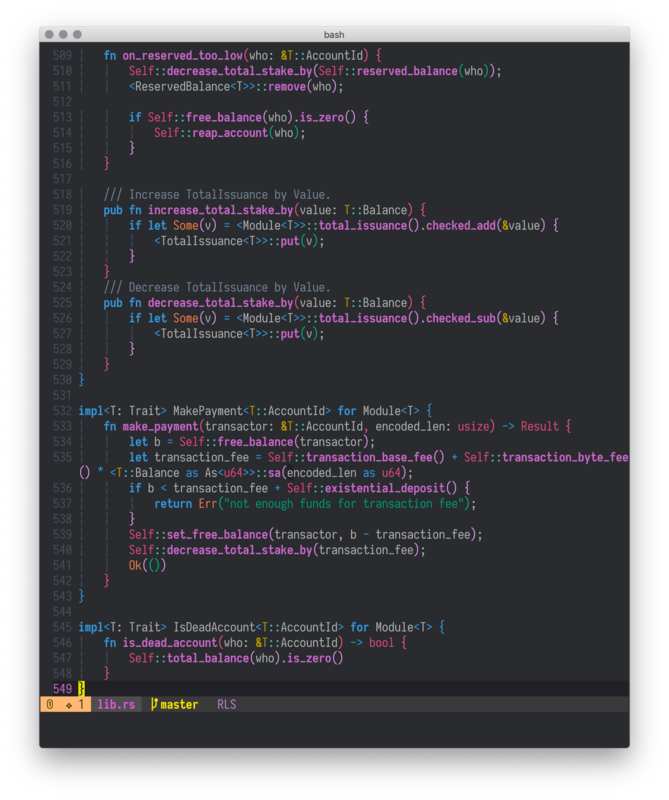 Then I build a new one space-vim-theme on the strength of vim-colortemplate with the light background support added. 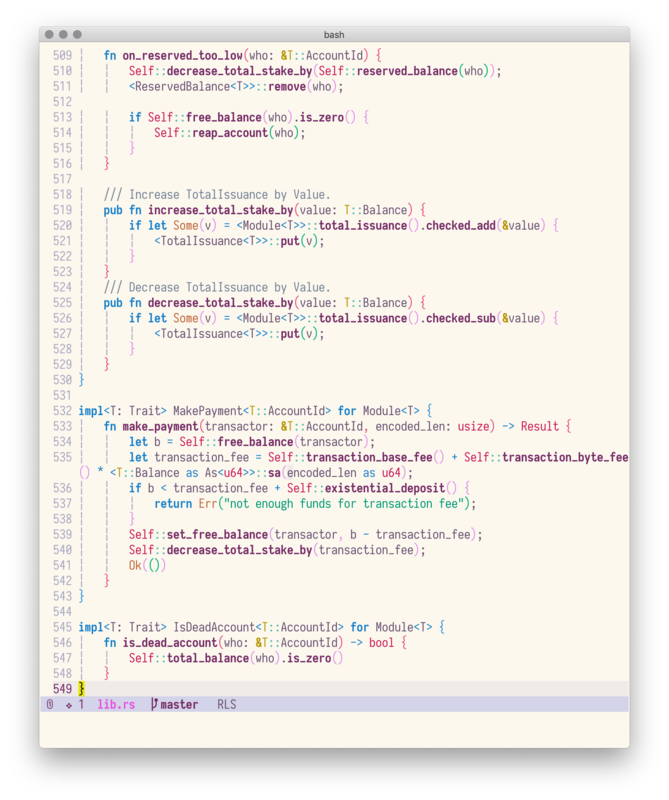 Finally we have the light version of spacemacs-theme :(.